Fans of the classic film Andaz Apna Apna can now rejoice as the makers are now all set to make a sequel or the second installment of the film. The film will have a second part and will not have Varun Dhawan and Ranveer Singh as it was earlier reported. 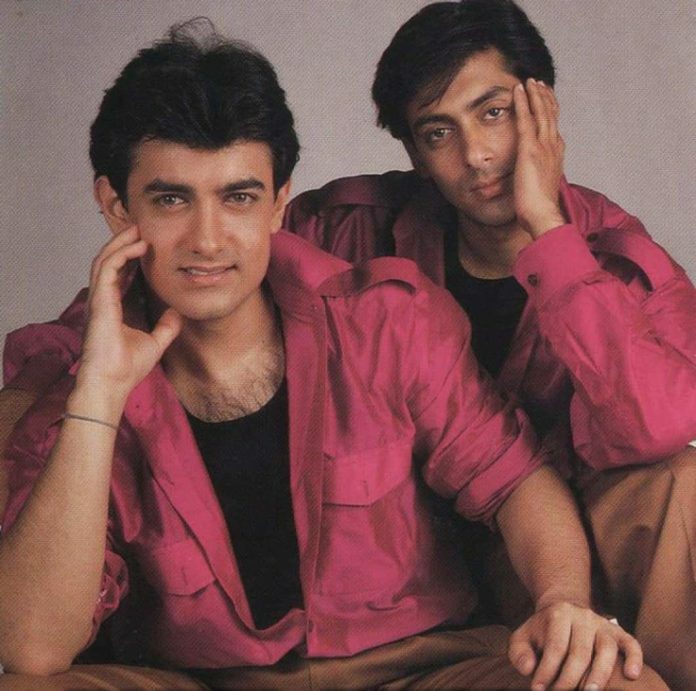 The sequel of Andaz Apna Apna will see the original cast Salman Khan and Aamir Khan. Reports say that the Dabangg star had suggested Ali Abbas Zafar’s name to the producers to which even Aamir Khan had agreed. More reports say that the makers will be roping in Shah Rukh Khan to play a cameo of what Govinda had done in the original film. While the male leads of the film have been retained, Raveena Tandon and Karisma Kapoor will be replaced by the current actresses. Andaz Apna Apna is a film was released in 1994 and was directed by Rajkumar Santoshi but was a failure at the box office. But since then the film has emerged as a cult classic in the comedy genre over the years. On the work front, Salman Khan is busy shooting for the film Dabangg 3 while Aamir Khan will soon begin shooting for the film with the title Lal Singh Chaddha that is based on the Tom Hanks Classic Forrest Gump.